Sometimes, even a king had to fight for his kingdom. 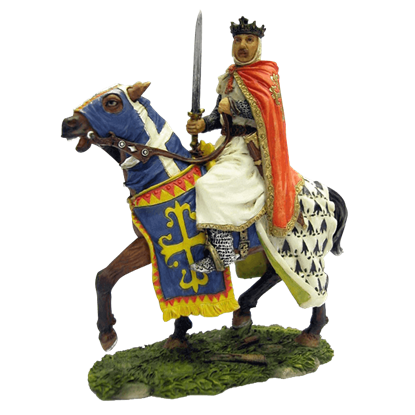 History is filled with warrior kings, and this Armored Crusader King Raising His Sword on Caparisoned Horse Statue depicts a ruler who is willing to fight for his land and subjects. Crusaders came from all walks of life. 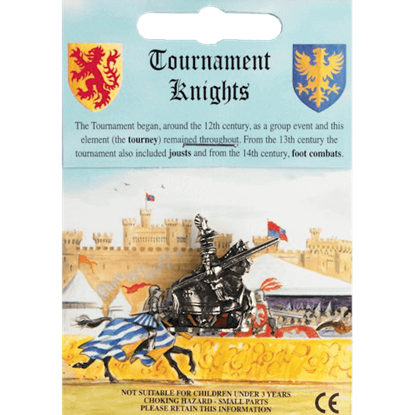 Some knights heeded the call to arms and joined armies to retake the Holy Land. 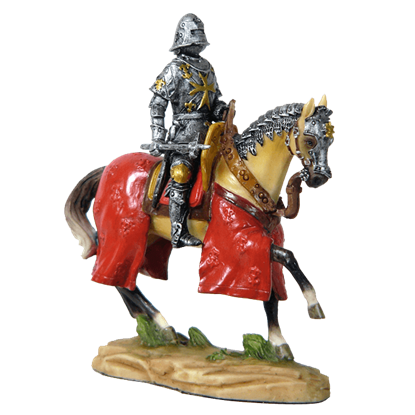 This Armored Crusader On Horse with Checkered Caparison Statue depicts a knight as he rides off to battle. The life of a crusader and a knight were not all that different. 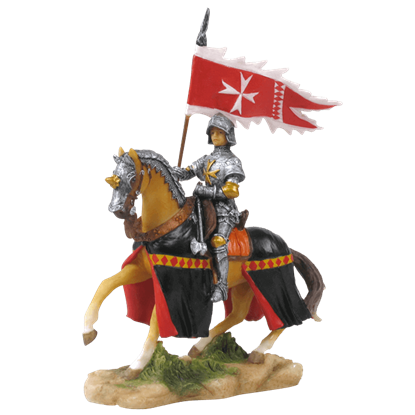 You could almost mistake this Armored Crusader on Horseback with Maltese-Cross Emblem Statue for a classic knight, if not for the iconic cross emblazoned on his armor. Some crusaders were unaffiliated warriors, who fought purely for their own reasons. 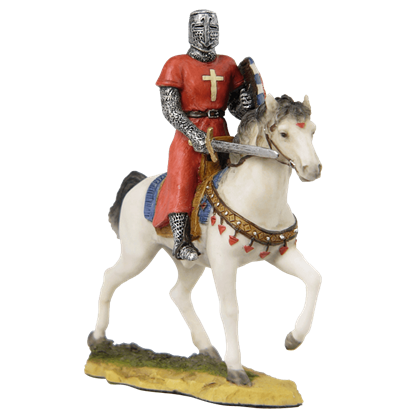 Others, like in this Armored Crusader on Horseback with Maltese-Cross Flag Statue, fought for a specific order when they headed off to battle. 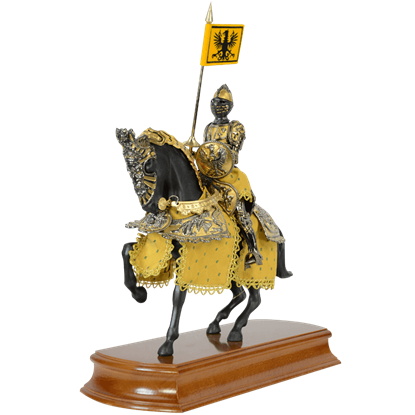 This Armored Knight Charging with Lance Statue depicts a noble warrior in all his armor as he charges to battle. 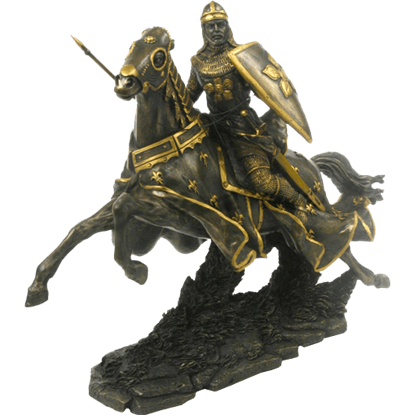 This striking knight statue is made from cold cast bronze with hand painted gold accents. 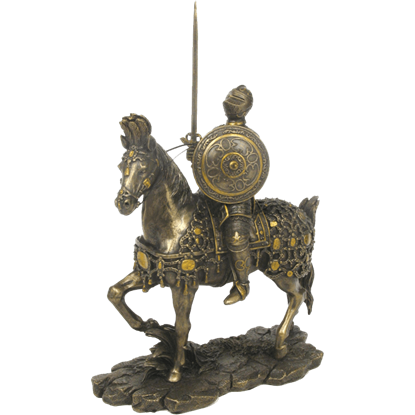 This Armored Knight on Horse Statue is a warrior in full armor as he prepares to participate in a medieval tourney. 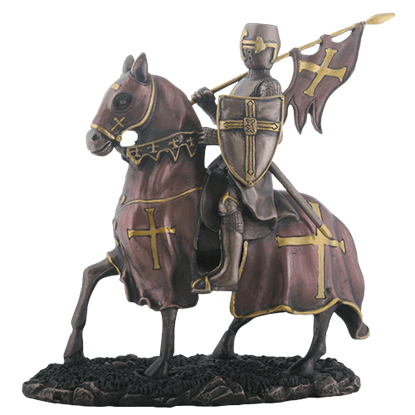 This cold cast bronze statue is a great way to show a love of the medieval at your home or office. Crusaders took many shapes and sizes. Some were kingly, some were peasants, and some were criminals. 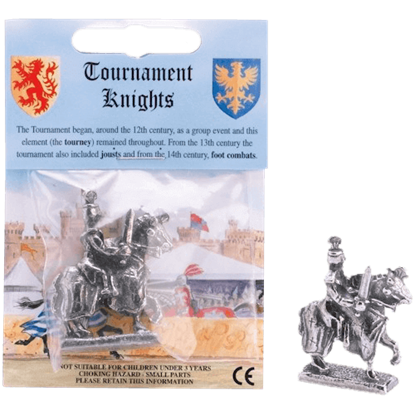 The Armored Knight On Horseback With Shield and Sword Statue depicts a knight who heeded the Crusades call to arms. 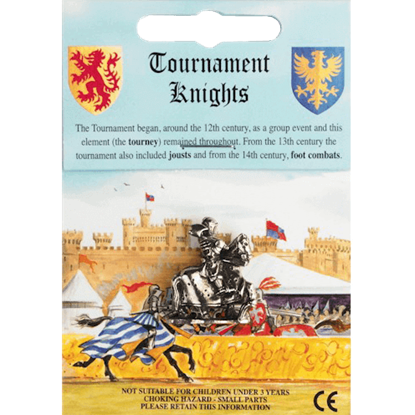 Knighthood in the Middle Ages often involved mounted warriors and was linked with horsemanship both as a status symbol and due to activities like jousting. 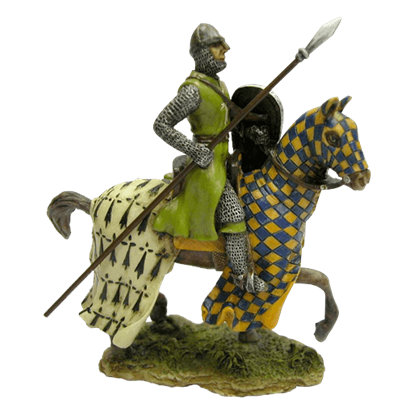 The Bannerman Knight on Horse Statue displays a warrior on horseback.